Furious residents are planning a protest march objecting to proposals for 2,000 new homes in Westgate and Garlinge. The proposals are part of the Thanet Draft Local Plan – drawn up by the council as a blueprint for housing, business and infrastructure up until 2031. A total of 17,140 homes are earmarked for completion by 2031. Of that number 2,182 have already been built (up to March 2018) with 4,500 scheduled for delivery by 2021; 5,500 between 2021 and 2026 and 5,585 between 2026 and 2031. 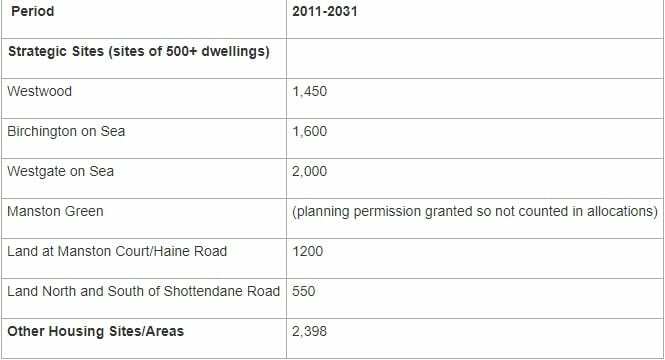 A proportion of these already have planning permission – 4,294 – some are ‘windfall’ sites – 2250- and 357 are empty homes. Around 8939 still need to be accounted for. Westgate was originally allocated 1,000 of those homes but a vote to retain Manston airport as aviation-use only -a U-turn on the mixed-use development including 2,500 homes that was recommended in a version of the draft plan voted down in January – means the 2,500 homes have been reallocated to new sites. The reallocation resulted in an extra 1,000 homes for greenfield sites either side of Minster Road in Westgate, bringing the draft plan total for the town to 2,000. This is a rise from the 700 proposed in 2015 which prompted the video below by resident Simon Moores. Birchington now has 1,600 – and extra 600 on original proposals and an extra 500 homes were allocated to Westwood, bringing the total to 1,450. A further 300 homes were allocated to Hartsdown, Margate and an additional 100 to Tothill Street, Minster. The reallocation means Westgate and Birchington will be the site of more homes than Westwood which had been the area planned for the greatest delivery of new builds. The council says these sites are considered the most appropriate in terms of sustainability, transport and, local and national planning strategies. The draft Local Plan, passed by councillors in July, is now open to public comment for 6 weeks, running up until 5pm on Thursday, October 4. The comments received on the Local Plan at this stage will be sent directly to the Planning Inspector for consideration. Anyone who does provide feedback at this stage may be invited to speak at the public examination of the Plan, expected to begin in February 2019. The protest march, organised by the Westgate Development Concerns group, will take place on Saturday, September 1 at 11am. It will start outside the Hussar pub in Garlinge and walk to Walk to Westgate Library and then to The Swan, Westgate. 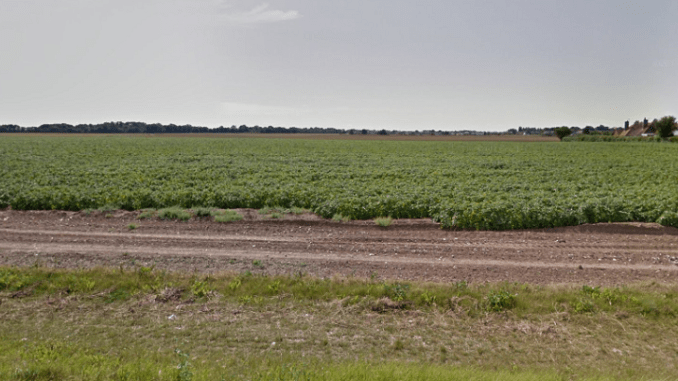 The group says the building of homes should not be on agricultural land. They have also questioned whether the sites are simply being used to provide funding for new road infrastructure at Westwood Cross. Birchington residents are also joining the protest. The residents of Thanet have been very let down by the Tories, as they have been told falsehoods. On the BBC South East News Report on the voting down of the Local Plan in January, they interviewed residents in Margate, all of whom said that they would vote for an airport, as they do not want all the houses. Sadly, keeping Manston free of housing has consigned the residents of Westgate, Birchington, Westwood, Hartsdown and Minster to huge developments. Shame on the two Tory Westgate councillors who voted for additional housing in Westgate. Only some people want an airport. The thoughtless tactics of some airport supporters have caused a lot of damage and now that the proposed local plan includes reserving the former airport site for ‘aviation-only purposes’,the housing which the legal owners of the site proposed to build there will be built elsewhere. The position of Manston indicates that it is not the right place for a cargo hub airport. You might want an airport. Others want a unicorn farm, some a gold mine. But it doesn’t matter how loud you shout “airport airport” at the council, it won’t make any difference. When the airport was “running” (and I use the word loosely, because it never really ran) it was losing £10,000 a day. In its 15 years it lost £100,000,000. All the experts say that the very best that could be hoped for for aviation at Manston would be much the same as it was, ie losing £10,000 a day. So rather than yell at the council and accuse them of telling lies, you need to look for a philanthropist who would be willing to stump up about half a million quid a month in order to satisfy your strange fantasy. Me, I’ll settle for the gold mine, just as long as Thanet tax payers ate allowed there once a month to pick up unlimited gold. Residents are finally realising what a hash the council has made of planning for the future. Firstly, it’s important to say that none of the political parties is opposing the housing target for Thanet. For many years the country has not been building enough houses to accommodate its ageing and expanding population. The owners of the failed airport site have put forward planning applications for substantial numbers of homes. Their plans include provision for road improvements, a medical centre, schools, leisure facilities and business units to create employment. The council has been taken over by pro-airport fanatics and they have ignored these plans. They altered the draft local plan to relocate the housing which was earmarked for Manston to Westgate and Birchington. But the time they have spent messing about with the local plan has meant that the government has stepped in and placed the council in special measures. A further 3000 houses may need to be added to the local plan because of the council’s failure to agree the plan by the final deadline. Thanet District Council is Conservative controlled. They took control of the council after undermining UKIP’s plans to locate much of the housing on the site of the former, failed airport. It’s important to know who is responsible for this situation and the Conservative-led council is fairly and squarely in the frame. Chickens coming home to roost! It was self evident local politicians were stoking up the idea to force the re-opening of Manston as an airport would be popular and gain them votes, but few people ever used it when it was operating, and it was lack of demand that closed it, at least 4 carriers went bust there! Now local politician are deceiving the electorate into think a Manston airport would create employment, but Thanet has nearly full employment, so where will the extra workforce live, when there is a housing shortage here. Preventing the owners of Manston from developing it for low cost, and social housing, lo and hi tech industry, park and recreation use, with medical centres, and schools has forced the local plan to build thousands of new houses on greenfield sites instead, Duurh! There are two answers to this stupidity, don’t vote for a Conservative Councillor next year, or for your Conservative MP, because neither of them live in Thanet, and the South Thanet MP, Craig Mackinlay was recently admonished by the House of Commons, for not disclosing he owns an aviation company! Also, write in to the local council objecting to the Draft Local Plan proposals making Manston for aviation use only, when it could be used sensibly for new housing! At what point do you call the bus full? You want buses *and* an airport? Andrew, you have misunderstood the question! When is a bus full, is it when no seats are left, or no room to stand, at what point do you take no more passengers? Thanet can take no more people into new housing, the infrastructure is not available! Margate hospital struggles as do most doctors surgeries, along with other vital services! Unemployment and crime is now high in Thanet, this needs addressing not housing. Brexit, bring it on please. In my opinion an airport, buses, trains and a ferry be wonderful for the economic growth of Thanet and not housing. Thought he was cracking a joke! But seriously,why would anyone living in Ramsgate want a busy, noisy, polluting airport at Manston, considering that Ramsgate’s under the flight path? And Brexit sounds like a disaster. We need more housing silly NIMBYS!